In June this year I was invited to Florence to give a paper, entitled ‘Colonial Science beyond Imperial Borders: Early Twentieth Century Scientific Networks on the Sino-Tibetan Frontier’ at a two day seminar organised by the Department of History at the European University Institute. 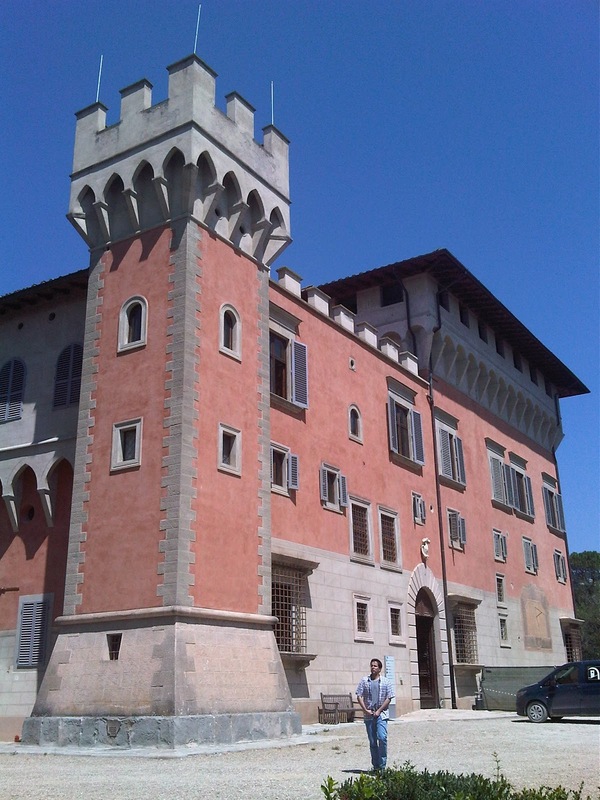 The seminar took place in the Villa Scarlati, set in its beautiful grounds in the hills of Fiesole, just a short bus ride out of town from the centre of Florence. It was an excellent seminar which examined many non-traditional aspects of imperial history, challenging many of the concepts of empire and imperial expansion, looking beyond the normal boundaries of more familiar colonial realms and territories. 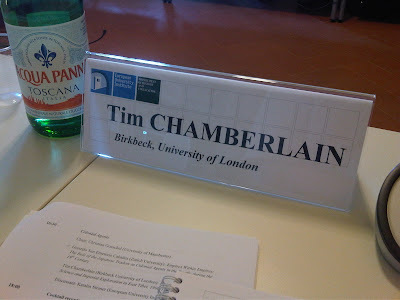 I met many academics and fellow PhD students from many different countries, making good connections and finding plenty of interesting food for thought in relation to my own research. It was wonderful too, to be back in Florence once again. Florence is one of the most magical cities in the world. I never thought I’d end up becoming so attached to the place, let alone so familiar with it. The first time I visited was in the winter of 2003. I stayed two nights while working at the Pitti Palace Museum. On that particular visit I didn’t have much time to explore. Working by day meant I only got the chance to wander round the empty streets after dark when everything was shut, but this was more than enough of a taster to whet my appetite. I became enchanted by the place. At the end of that trip, when I left Florence in the pouring rain, looking out of the rain streaked taxi window I knew I’d have to come back and explore properly one day. Nearly ten years later I did return. It was August 2012, and every day was drenched in sunshine and heat – but this didn’t put me off exploring the city until I was footsore. A central part of this trip was a growing fascination with the incredible architecture of the magnificent Duomo, and the role of the architect, Filippo Brunelleschi in particular. 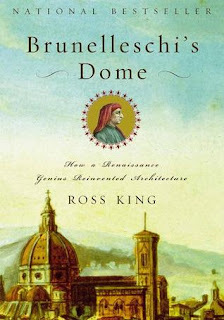 Reading Ross King’s excellent book, Brunelleschi’s Dome (Penguin, 2000), at the time, I set out to explore every inch of the enormous cathedral (you can read more about that trip here). For me, Brunelleschi is but one facet of a long-standing fascination with the Renaissance and the history of science which flourished in the city state of Florence. Art and engineering, anatomy and painting, architecture and astronomy – all of these subjects uniquely combined in the confluence of this place at that particular time; it’s no mere hyperbole to say that the remarkable flow of knowledge and ideas which emanated from Florence has shaped the world we continue to live in to this very day. I’ve long been fascinated by the vast, encyclopaedic interleaving of different disciplines which were personified in so many of the city’s most famous citizens: Leonardo da Vinci, Michelangelo, Galileo, Dante, Donatello, Giotto, Amerigo Vespucci, and Leon Alberti Battista. My interest in all this probably began with a visit to an exhibition about Leonardo da Vinci at the Hayward Gallery in London in the late 1980s, when I was aged about 12 years old. The exhibition focussed on Leonardo as a scientist and engineer. I was particularly struck by two aspects of Leonardo’s scientific work: his studies of human anatomy (you can read more about that here), and his invention of many remarkable machines. The exhibition comprised a mix of his original drawings set alongside working models based upon his plans with detailed explanations of his ideas. Many of the machines he’d dreamt up were purely theoretical, such as his famous birdman flying machine and corkscrew helicopter. 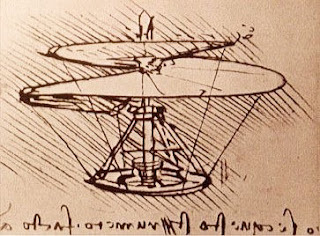 Of course, most of these machines would never have got off the ground and remained simply as pure flights of Leonardo’s fancy – entirely impractical given the available materials and technologies of the time – there is no record that anyone ever attempted to construct any of them for real. But some were genuinely practical. 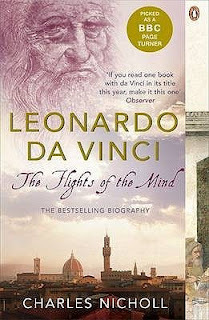 He specialised in hydraulic engineering as well as military architecture, and it is known that he was engaged or advised on some projects of this kind alongside his better known artistic commissions – Charles Nicholl’s life of Leonardo, titled Leonardo da Vinci: The Flights of the Mind (Penguin, 2004), is a fascinating read, and in this respect really brings Leonardo to life as a working man. His design for an armoured vehicle, a kind of prototype-tank, was one drawing featured in the exhibition which stuck in my mind. This particular drawing had been lent to the Hayward by the British Museum, and many years later I was lucky enough to hold this very same drawing in my own hands after I began working at the BM – in fact I’ve couriered and installed it in several other exhibitions in different parts of the world and I hope it has exerted the same fascination for visitors (young and old alike) to those exhibitions too. It has been speculated that Leonardo’s fascination with machines may well have begun when he was a child, as he would undoubtedly have seen – first-hand, on a daily basis – the enormous scaffolds, cranes, pulleys and winch systems which were created to build the magnificent Duomo. It’s easy to picture Leonardo as a young boy watching these amazing machines in action, and it’s not hard to imagine the kind of impression they might have made upon him. He must have been fascinated. And for architectural historians that fascination has never faded. The question as to how Brunelleschi put his ideas into action, particularly with regard to the building of the great dome, with its innovative self-supporting brickwork and double-shell design, is something that deeply intrigues modern scholars too. In this respect Brunelleschi’s machines as much as his innovative architectural ideas are an equally fascinating thing to contemplate. Remnants of these machines still exist, along with sundry descriptions and financial records found in the Duomo’s archives; these disparate fragments have been the subject of modern studies – such as the book by Ross King, which I’ve already mentioned. 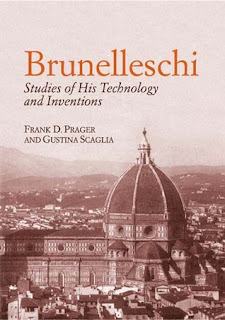 On this recent trip I bought myself another, slightly more technical book on this topic: Brunelleschi: Studies of His Technology and Inventions by Frank D. Prager & Gustina Scaglia (Dover, 2004 [first published by MIT Press, 1970]). On my previous trip in 2012 I somehow ran out of time, and so I hadn’t been able to visit the little museum at the back of the Duomo which houses the original models Brunelleschi made when designing the dome. This time I made sure I didn’t miss it. I also had a better camera with me on this summer’s trip, and so as an addendum to the previous Waymarks post which I wrote on the building of the dome, these are some better photos of the Duomo and Brunelleschi’s working models, as well as the final resting place of the great man himself, set beneath the marvellous marble floor with its intricately tiled optical illusions – it’s a magnificent building, and one which I don’t think I’ll ever get tired of exploring ... Perhaps, when I complete my PhD I should think about applying for a Post-Doc fellowship at the EUI and get to know Florence even better?